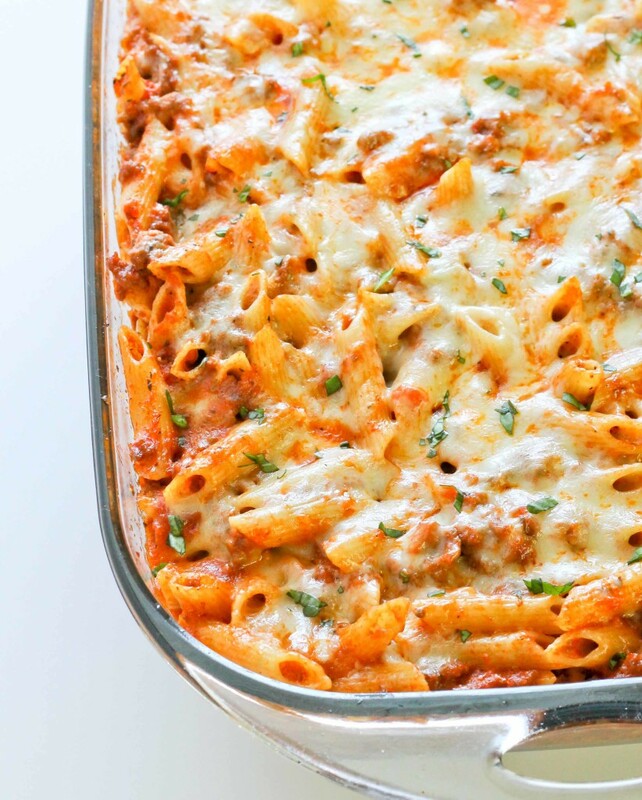 Beefy Baked Penne (or ziti) is one of my favorite dishes. 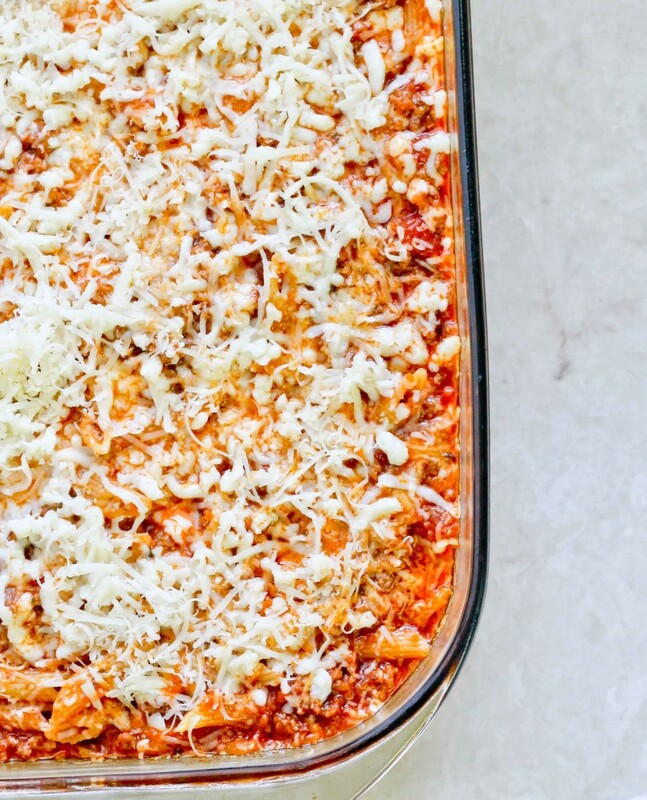 It’s very easy to prepare which is a plus; pasta, meat sauce and cheeses are all baked together until bubbly. When making the meat sauce, I add finely chopped vegetables to the sauce which makes it undetectable for the vegetable detective that lives in my house, my 3 year old. I added zucchini and carrots but peppers, spinach and even mushroom would be great also. One added bonus is how well this dish freezes, whenever I go out of town I make a batch and freeze it into portion sizes. I cook according to directions and assemble it into disposable foil loaf pans; I do not bake at this point but freeze them instead. To cook, I simply defrost in the fridge overnight then toss into the oven and bake! Super easy and saves a ton of time. Preheat oven to 350 degrees. Cook pasta according to directions on the box. 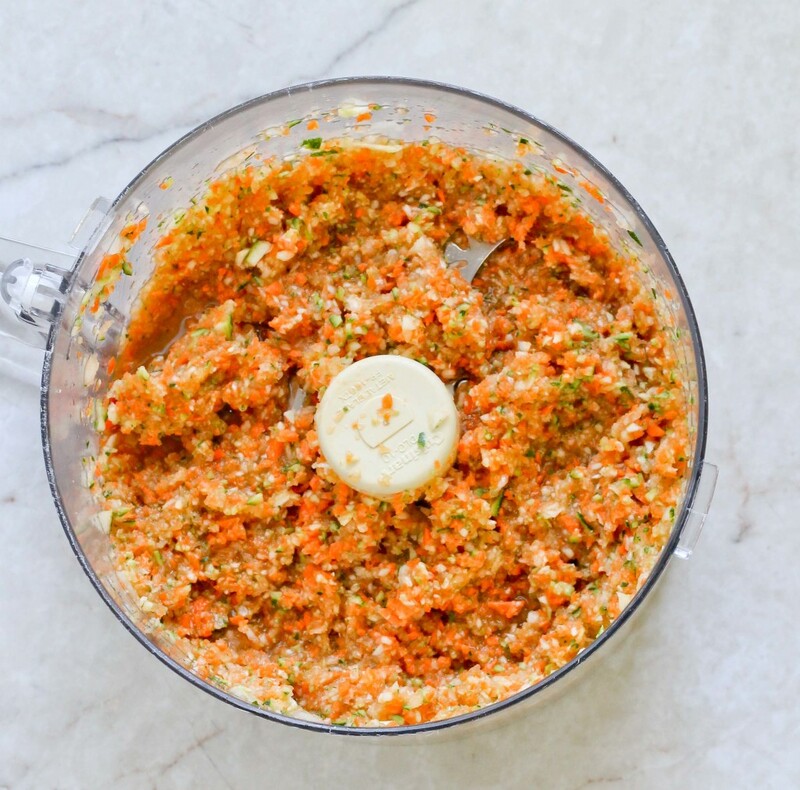 Place zucchini, peeled carrots, garlic, onion in a food processor and pulse until finely chopped. In a large pot over medium heat, add oil. When oil is hot add meat; separate meat using a spoon. Allow meat to brown then add chopped vegetable mixture and cook for about 5 minutes. Add both jars of marinara sauce, basil, oregano, black pepper and nutmeg, then bring to a boil. Reduce the heat to low and allow to simmer for about 20 minutes or until the sauce has thickened. Next spray a 13x9 casserole dish. Mix cooked pasta with the sauce and ¾ of mozzarella cheese and ½ of parmesan. 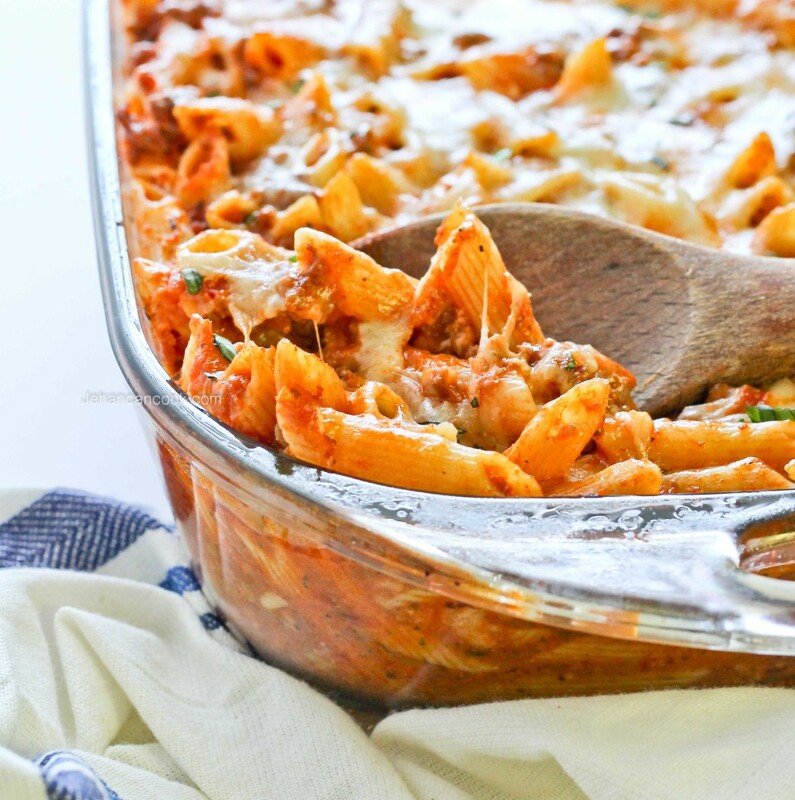 Place pasta into prepared casserole dish then top with remaining cheeses. Cover with aluminum foil and bake for 30 minutes. Remove the foil and allow to cook for an additional 10 minutes until the cheese is slightly golden. Remove from oven and cool for 10 minutes before serving. *This can easily be made meatless. Sautee the vegetable puree then add marinara sauce and proceed as directed. Ricotta cheese is great in this dish. Just mix 1 cup ricotta along with the other cheeses. This dish is usually made using ziti pasta but I used penne. You any tubular shaped pasta that you prefer.